Every UPSC topper has a unique story – an inspiring story for millions in the country. The life and journey of Ira Singhal IAS – all India rank 1 in UPSC Civil Services Examination 2014 – is unique in many unique ways. 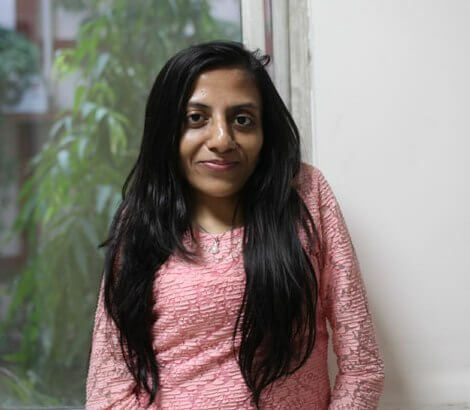 With 62% locomotor disability, 30-year-old Ira Singhal topped the IAS exam, attempted by around 5 lakh aspirants in 2014. Why now: As many aspirants wrote to us about their lack of motivation and confidence, we felt the strategies and booklist of the last year topper should give direction for aspirants. ClearIAS had been publishing UPSC Toppers interviews for last 3 years. We don’t want our readers to miss the take-aways from toppers like Ira. I never mugged up anything. I focused on preparing the topics I could handle. I started from the basics. I found NCERTs are a must-read. But yes, some subjects require specialized books after that. But I found that you cannot ignore NCERTs. Read them multiple times. I mostly depended on online material. Did not go to any one site, but checked multiple sources for everything. I read the same topic from multiple books. But I also went back and read all the books again. I used to underline important stuff in the books but I was too lazy to write it all down. I am not someone who can study throughout the day or something, so my study plan is always about finishing a particular amount of course rather than studying for a fixed number of hours. I spent a LOT of time on my multiple hobbies. Your basics should be strong. Online preparation helps. Try to get different view points on everything. What does all-India rank 1 has to say about IAS exam? I think it is important to find another alternate career before you stake your future on this uncertain path. That will give you confidence and a safe haven in case things don’t go your way. This exam needs a lot of hard work, a lot of mental strength and some amount of Luck. I never made clearing the exam as the only thing in my life. I did not connect it to my ego or to my personal success or made it my reason to live. New NCERT – India Since Independence. Wizard – Science and Technology. Note: Apart from these books, Ira also referred different websites on internet, materials from coaching institutes etc. Ira had taken coaching for her first attempt in 2009-10 as she didn’t had much idea about preparation. She says, at that time, in 2009-10, there was no material available online. These days a lot of material is available online and a lot of guidance on where to begin is also present online so if I were preparing today, I would not join them. I don’t recommend or condemn them. It depends on the sort of person you are. Some of us need hand-holding and need someone else to keep them on track and some of us are self-motivated. So it all depends on how you think you can succeed best. Though if it is only about material, a lot of it is available online these days. Courtesy: This article is drafted with permission of Ira Singhal. For more details on her approach, refer: Ira Singhal’s Blog – http://irasinghal.blogspot.in/. Only 3 months left how can i started my preparation for civil exam? start for next year not for this year.How can you complete those books in 90 days..? you are not god.so start preparing for next year. nice madam…y r our upsc exam guindenss. I need the best book on Indian history …please do suggest one among the best books and authors. Hi Ira mam , I’m a student of class 12 and I want to start my CSE preparation now. So , how I should start my preparation along with my boards ? Hi Ira mam , I’m a student of class 12 and I want to start my CSE preparation now. So , how I should start my preparation along with my cbse 12 boards ? You can choose geography and public administration as optional subject. Hello sir i m new here and i don’t have any idea about ias exam so pls guide me ..and i wants 2 study in hindi so pls suggest me books name so that i can purchase from market for pre. Exam..pls help me i really need it..
hello everyone , i m new here so pls suggest me how can i start my preparation for prelims. its my first attempt. You should remain in patience ..
Bhai 28 and didnt graduated yet?!!!! Hello mam..I am bsc 3rd year student. I m going to prepare for upsc from next year. so would u tell me how to go through to make it in first attempt. .I want to do IAS .Then suggest me how can I prepare. Very nice mam, you are motivational​ person for us. Sir I am doing Bsc statistics in final year. I want to become an I A S. But i didn’t preapare any thing.and suggest me a way to become an IAS. very nice mam, you are a motivational person for me. I BELIEVE YOU STRATEGY . THANK YOU SO MUCH.